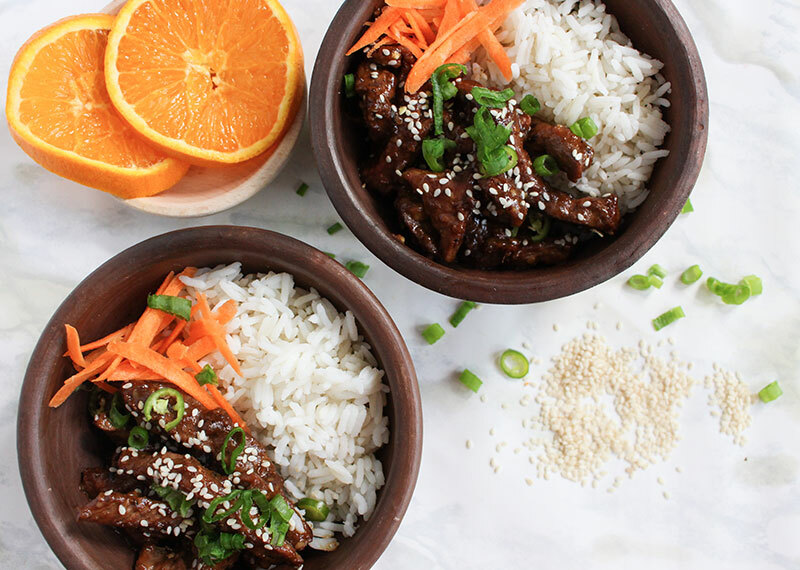 Tender beef strips in an asian inspired sauce with a citrus twist. This dish is a great change to your normal stir-fry dinner. 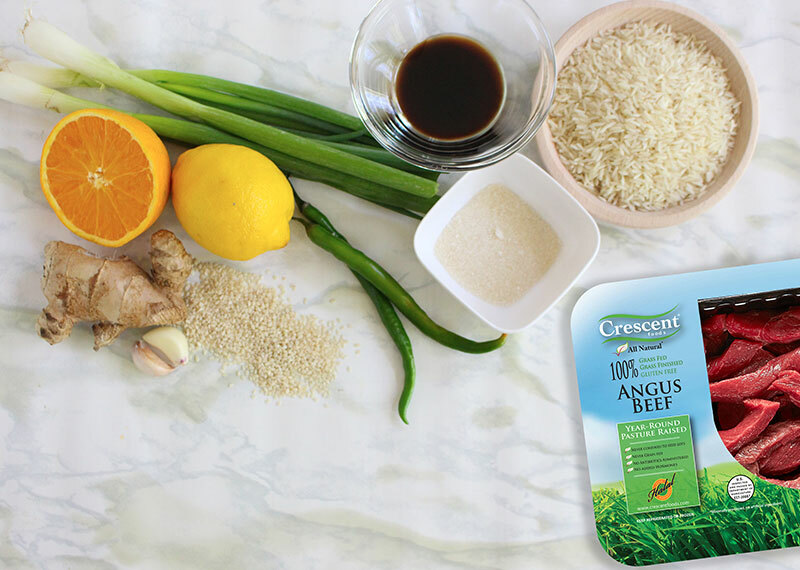 You can marinate the meat the night before to let the flavours sink in, serve it with white or brown rice! 1. Marinate beef overnight or for at least 4 hours. 2. Heat a large pan or wok with vegetable or avocado oil, fry meat in small batches till all sides are cooked. Place meat aside. 3. In the same pan heat 1 tsp oil and add all the ingredients for the sauce. 4. Mix well till sauce is well combined. 6. Let cook 6-8 minutes till meat is cooked through. 7. Serve with rice and sprinkle with sesame seeds and carrots.